On Monday, conservative Wisconsin governor Scott Walker announced his official campaign for President, making him the 15th Republican to do so. Over the past few years, Walker has made national headlines — his recall election, for example, not to mention his recent comments on gay marriage and his budget-cutting education policies. The latter warrants a deeper look: What exactly has Walker done to Wisconsin's education system, and what implications does that have for the United States? This past February, Walker's budget proposed cutting funding to the public education system in Wisconsin, most notably the public university system. The Washington Post reported that his budget would cut $300 million from the system over a two-year period. Students at University of Wisconsin, Madison protested Walker's cuts. The Washington Post reports that Walker's administration says the university cuts are part of his "reforming government," and a way to avoid raising taxes. The New York Times explained that, unsurprisingly, these cuts would lead to rising out-of-state tuition and university layoffs. The budget containing these provisions was made official Sunday, according the The Washington Post. In addition to major funding cuts, it also eliminates state laws that protect University of Wisconsin tenure professors. The budget will allot more public funding to send students to private, including religious, schools in the "voucher program," according to The Washington Post. A majority of public school districts in Wisconsin will receive less funding this year, and no school district’s state funding will keep up to inflation. With this budget, taxpayers come first ... The budget I signed today again brings real reform to Wisconsin and allows everyone more opportunity for a brighter future. His recent cuts are not his first attack on the public school system. In 2011, in the face of the state's million-dollar debt, he unveiled the Wisconsin Budget Repair Bill, which allowed public workers to negotiate only over wages. Some schools, like those in the capitol city of Madison, were closed for several days so that teachers could protest Walker. Despite the protests, the legislation was upheld by the Wisconsin Supreme Court in 2014, as reported by The Milwaukee Journal Sentinel. Inevitably, budget cuts have to be made, especially when you're in debt. That makes sense. But what doesn't make sense is why the public education system has to be the center of the attack. 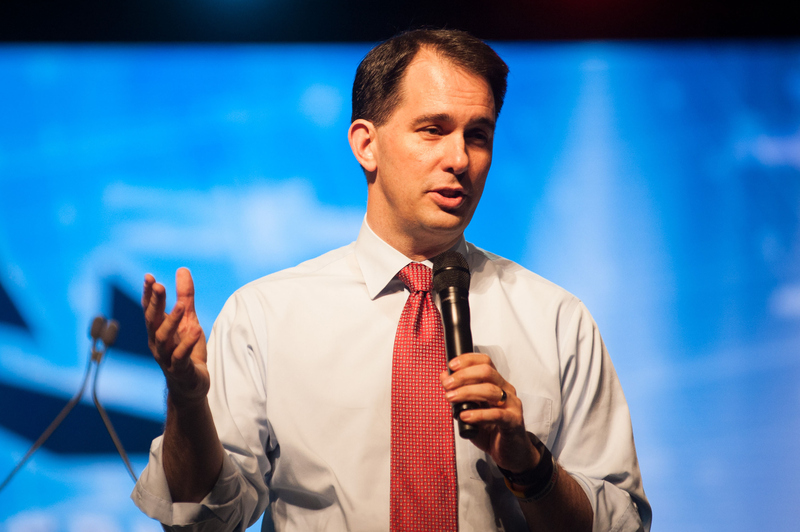 Now that Walker is officially running for president, what could he do to public schools nationally? Will he slash national education budgets to try to curb debt like he did in Wisconsin? It's a scary thought. Walker's education plan as a potential president is unclear, but should be paid attention as his campaign continues, given his rocky history.